Mayer Brown is home to the Nation’s oldest dedicated U.S. Supreme Court practice, which today comprises more than 45 appellate lawyers who have argued over 220 cases before the Court. Our practice has represented either parties or amici in approximately 15 cases each Term for the past several years, and has argued an average of four cases per Term. The members of our group include four former Deputy Solicitors General and three former Assistants to the Solicitor General, as well as numerous former Supreme Court and federal appellate clerks. Collectively, we have written nearly one thousand Supreme Court briefs. 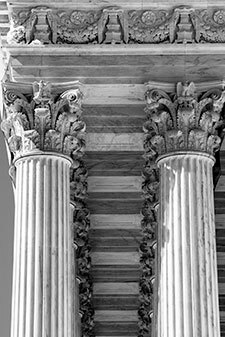 Four Mayer Brown appellate partners are among the five co-authors of the seminal treatise, Supreme Court Practice.